Boston Based Freyja HealthCare, a medical device company founded by Jón Ívar Einarsson, MD and professor at Harvard Medical School, just announced a $1m (120m ISK) financing by undisclosed, Icelandic investors. The round values the company at 1,000m ISK (~$8.3m) post money. Spakur assisted with the financing round. Jón Ívar, which Academia.edu describes as “a leader in the minimally invasive gynecologic surgery (MIGS) field” said in conversation with MBL.is that the company is finalising a deal with a big medical company on the sale of three devices aimed at standardising hysterectomy operations. “This financing allows us to continue development of more devices,” Jón Ívar told MBL. It’s incredible – even to me – but the fundraising round we at GRID disclosed last week is the 10th time I raise capital for one of my ventures. Admittedly this one was in many ways unique, and also the largest one. Yet. Despite this, I’m still learning. For one thing, the world has changed since we raised our first round at Lon&Don back in 1997 (Icelandic only)! For another, 10 times is still hardly a statistically relevant sample so it’s natural to still be discovering a few things. Local is dying: I heard this from startups and investors ranging from Seattle to Silicon Valley and Berlin to London: Investors are – less than ever – focused on investing in companies based on geography. Some of them are actively betting on that the Next Big Thing™ may come out of areas you’d least expect. Also, from the startups’ perspective, they’re no longer necessarily going to local investors first. In some cases I heard investment funds complain that they didn’t even see some of the best deal flow in their area because those entrepreneurs didn’t come to them. They went straight to investors they thought would add more value or they thought were a better fit – even halfway across the globe. The best investors hunt: Success in investing – especially early stage – doesn’t come from waiting for deals to come to you. It comes from networking, plugging yourself into the ecosystem, keeping your ear to the ground and then jumping with conviction on the best opportunities because you spot them before anyone else does. Being one of the few brand-name investment funds in the world may counter that a little bit, as you will be getting good inbound opportunities. But an aggressive hunt will always outwit, outplay and outlast them. A complacent investor is probably not a successful investor. Thesis and stage match: I paid more attention to the characteristics of each fund this time around than I’ve ever done before. As an entrepreneur you should seek out funds that have an investment thesis that matches what you’re doing. I felt this strongly in this latest raise. Talking to investors who already had theories around modern productivity tools and/or the spreadsheet market was so much more productive and so much more valuable to us than talking to ones where we had to explain our background, research and theories from the ground up. Also, make sure you understand the size of the fund, the typical size of their investments (jargon tip: their “ticket size”) and the funding stage they’re most comfortable with. Convincing a typical Series A or Series B investor to invest in your Seed round will not only be harder, it may come back and haunt you later if they for any reason don’t lead your next investment round. You’ve more or less put yourself on a single track, while working with a typical Seed investor keeps all the doors open for next steps. Again. Despite having been around this block a few times now, my experiences are still anecdotal, so take them with a grain of salt, but I hope this may be of help to some of you fellow fundraisers out there. The author is founder and CEO of GRID. He previously founded (and exited) DataMarket. Icelandic bicycle manufacturer Lauf Forks has just announced a $2.5m (300m ISK) funding round led by New Business Venture Fund (Nýsköpunarsjóður). The funding will be used to grow in the United States. “The bicycles from Lauf Forks have been well received in the United States, so focusing on growth their is a logical next step,” chairman of Lauf Forks, Erla Skúladóttir, said in a statement. Lauf Forks was founded in 2011 around the invention of the lightest bicycle fork in the world. The company has since developed into designing and manufacturing full blown bicycles. They paved the road with Lauf True Grit, an award winning Gravel bike, and now also offer Lauf Anywhere, a mixed terrain bike. GRID, the SaaS company with the goal of “freeing the spreadsheet,” just announced a $3.5m seed funding round, only five months after their initial $1m angel round. The funding round is led by Berlin-based BlueYard, with participation from Slack Fund, Acquia Capital and angel investor Charles Songhurst. Previous investors, including Brunnur Ventures, also participated. “We are happy to work with this group, as they add a lot of value to our mission other than their funding,” the company said in a statement. GRID is the second company, led by a repeat founder, to raise substantial money from foreign and local investors in a short period. The other, Teatime Games, raised over $10m in a 6 month period – both a sign of a maturing ecosystem. GRID are hiring, check them out on Northstack Job Board. 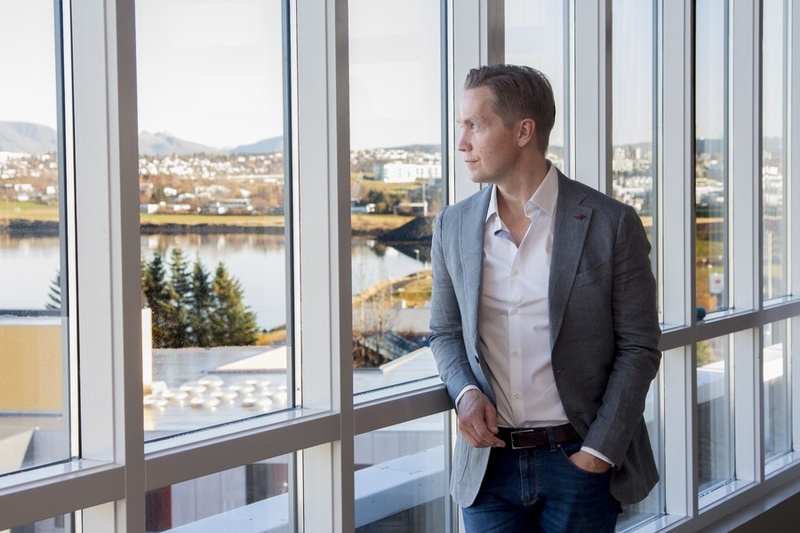 Avo, the SaaS company preventing human error when implementing analytics, is the first Icelandic company to be accepted into Y Combinator, widely regarded as the world’s best accelerator. As part of the program, Y Combinator invests $150,000 in the company. Avo (then as Viska Learning), previously raised a $1.2m seed round from local investors Brunnur and Investa. The company was founded by several former employees of QuizUp, which raised more than $40m in venture financing from investors including Sequoia Capital and amassed 100m users before being acquired by Glu Mobile. Later, when the team had founded another company they ran into this problem again. They couldn’t believe they would need to build internal tools for this again, so they started investigating what friends and colleagues were doing. And seemingly, the partners at Y Combinator think they have something as well. 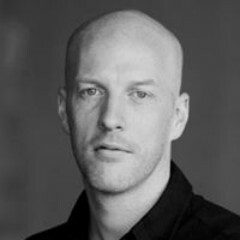 “I always wanted something like this at Airbnb,” Gustaf Alströmer, former growth lead at Airbnb and currently partner at YC commented in a statement. Avo was recently featured on Product Hunt. The Nordic Web, just announced that it has raised its second investment fund. The company, founded and led by Neil S W Murray, has been investing out of its first fund, and has already (if you count a not-yet-announced investment out of the second fund) invested in all Nordic countries (including Iceland). The fund invests in pre-seed and seed stages, with 14 investments to date, and has invested alongside other notable investors like Y Combinator, Point Nine Capital, Seedcamp and Founders Fund. The Nordic Web Ventures goes to the community for financing, having people active in the startup communities as LP’s (investors). For Iceland, this includes Georg Lúðvíksson (of Meniga), Crowberry Capital, and Kristinn Hróbjartsson (Norsthack). Drone startup Flygildi, which is creating a drone that is disguised as a bird, flies flapping wings, and is undetectable by radar, has raised an angel round. The amount is undisclosed. Flygildi was founded by the two engineers Hjalti Harðarson and Dr. Leifur Þór Leifsson. In a press release, Helga Viðarsdóttir, CEO of Spakur, and chairman of Flygildi, commented that the drone has already garnered significant interest from Tom Moss of the drone company Skydio; Palmer Luckey, the founder of Oculus; and the defense company Lockheed Martin, which has shown an interest in participating in further financing of the company. More about the company on MBL.is. In a new post by Einar Gunnar Guðmundsson of Arion Banki, he reveals that Arion Banki’s daughter company Startup Reykjavik Invest currently values its portfolio of companies that have participated in Startup Reykjavik at $2.3m (278m ISK). The bank’s total direct investment (not counting the operational fees of the accelerator) in Startup Reykjavik companies has in the mean time been ~$1.5m (176m ISK). According to his calculations, 54% of companies are still active, 13% inactive, and 33% sold (companies where Startup Reykjavik has sold its share back to the founders, who have quit (or mostly quit) operations). You can read more about it in his post here. Last week, Dattaca Labs announced Iceland Venture Studio, a new “growth solution for entrepreneurs and startup founders.” The Studio has raised a $1m fund, working towards a total size of $5m, to invest in early stage companies. “We’re very committed to our investment thesis,” CEO and co-founder Bala Kamallakharan told Northstack. Their focus will be companies that focus on that provide services around decentralization of private data, algorithms, privacy, process and data security. The venture studio has already unveiled the first investments: Retina Risk and FlowVR. Bala previously invested in Icelandic startup CLARA (acquired by Jive in 2013), and served as the executive chairman of Guide to Iceland and Travelshift, which recently raised $20m. Silicon Valley Internship Program, founded in 2013 with the goal of closing the talent gap whilst giving international engineers the skills they need to become successful entrepreneurs in their home countries, is partnering with Reykjavik University to offer internship positions to Icelandic developers. The tech industry desperately needs great talent, and is under pressure to build a diverse workforce. The SVIP brings top engineers from all over the world with 50% of the engineers being female – to work at Bay Area technology companies, making the whole process as frictionless as possible. With partnerships with top engineering institutions across 35 countries, the platform attracts the best engineers from universities such as Oxford and Cambridge to universities in Taiwan and most recently SVIP partnered with Reykjavik University, forming the strongest international network of entrepreneurial engineers. The program has two tracks which bring newly graduating Software Engineering students from 35 countries around the world to work at a startup in Silicon Valley. The first track accepts male and female software engineers with a STEM degree (Science, Technology, Engineering, Mathematics) from any accredited European, Scandinavian, EEA University. The second track, in partnership with GBx-x, accepts female engineers with a STEM degree from outside of Europe. SVIP interns are paid a salary of $75K+ for the year. The program also facilitates the hiring process for companies by arranging all the immigration and legal documentation, taking care of interns flights and accommodation for the first month. Roam Analytics, an SVIP company that has hired engineers through the program notes that “in a world of ever-more complex recruiting programs, SVIP is a blessing. They helped introduce us to some exceptional candidates and have always made the process a breeze”, says Carter Wilkinson, Head of Finance and Operations of Roam Analytics. Find out more and apply on the Northstack Job Board. Application deadline is February 8th. Northstack is Iceland's premier outlet for news, data, analysis, and discussion about the Icelandic startup and tech scene.